It’s on the weather channel, it’s a storm, and it’s headed your way. Is your home ready? Especially when it comes to nature, certain events can seem overwhelming and totally out of your control. While you may not be able to change the forecast, you can take measures to prepare your house. Handyman Matters has helpful insights for equipping your home for a storm. There should always be a clear path leading from the entrances and exits of your home. This means pruning trees and removing potentially problematic branches. It also means laying down some preparatory rock salt (if needed), and removing any potential obstacles. Additionally, check your gutters and downspouts to see that they’re functioning correctly – you don’t want water build up or any flooding. You don’t necessarily need a storm shelter, but you and your family do need to find a safe meeting spot within the home. An ideal safe spot would be on the lowest floor (preferably in the basement), with no windows, and without any shared walls with the outside. This will be the place where you wait out the storm. Turn your safe space into a true bunker by stocking it with the emergency essentials. Think non-perishable foods; back up essentials like medications, batteries, and first aid; and lots of water. The ratio is one gallon per day per person. You also want to stash a change of clothing – layers in case it’s cold – and sturdy shoes. If you have any animals, remember to keep some of their basics in the room as well: food, leashes, and a carrier. Lastly, trash bags are a must to keep things from getting too gross. Think about the heat sources in your house if you’re facing cold weather. More specifically, think about the heating that doesn’t require electricity to function. If you’re in a rural area, a backup generator may be a great investment for your home so you don’t have to worry. If you’re in a city, think smaller, less noisy, alternatives. 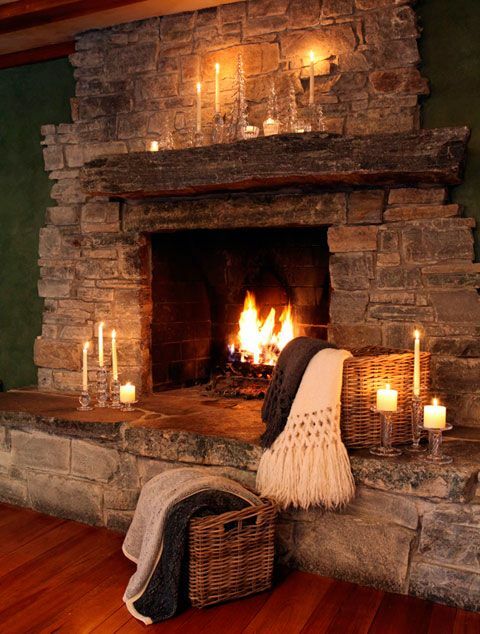 Does your home have a wood burning stove or fireplace? If so, stock up on wood. If not, consider getting some battery powered space heaters to store in your safe room. Anything that does not require electricity will fulfill this need: candles (just have the fire extinguisher nearby), battery powered/solar/crank lanterns or flashlights. There’s a blackout light that’s especially handy in weather related scenarios because it’s a light that stays plugged in, and only turns on when the power is out. Place these around your home so you can easily navigate through the dark during a blackout. The last items to consider keeping in your safe rooms are the ones that may come in handy in inclement conditions. Chainsaws may be necessary to cut apart fallen trees blocking exits. Shovels for the snow, a fire extinguisher for unexpected fires. Finally weatherseal tape is great for sealing cracks in your home as they happen during a specifically rough storm. When a storm hits, the last thing you want is a leak in your home. Reinforce your home by making sure it has a secure roof, sturdy walls, and sealed windows. If you have a crack – now is the time to fill it. Handyman Matters is here to help you prepare for the everyday and the unexpected. Don’t wait until the day-of a storm to try and prepare your home, think ahead, and save yourself time and money. For help weather proofing your house, give us a call 866-FIX-MY-HOME. Romance is in the air. January is wrapping up, and Valentine’s Day is on the horizon. Do you make reservations at an upscale restaurant? Will you book a romantic get-away? As you may have noticed, Handyman Matters’s favorite destination is home – and we want yours to be too. Show your valentine how much you care by transforming your home into a romantic getaway. What is the most romantic home in existence? It’s the cabin. Whether it be a beach front pagoda, or a mountain cottage – nothing says romance like cozy secluded areas. Even if you live in a large home in the suburbs, think small, think like you’re at an Airbnb in a scenic locale. Focus on one room or a certain area of the home, and create an intimate environment. Once you have that thought process going, here are a few things to consider to optimize the Valentine’s romance. A small café table with candles, wine, and a meal for two is the simplest way of doing the Valentine’s dinner. Consider taking things outdoors. 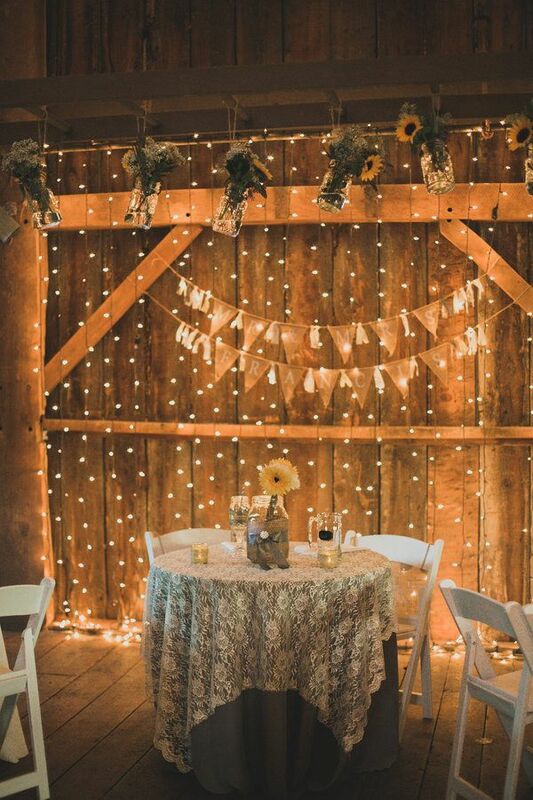 Small gazebos or porches lined in string lights will make a dinner, drinks, or even a board game fantastical. 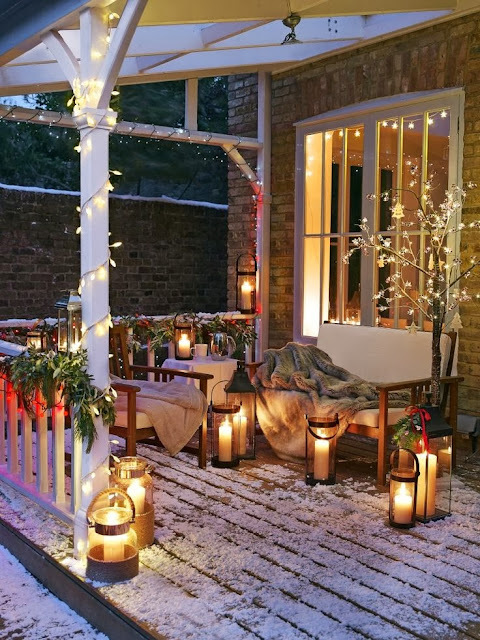 To stay warm, install heat lamps or a beautiful fire pit! 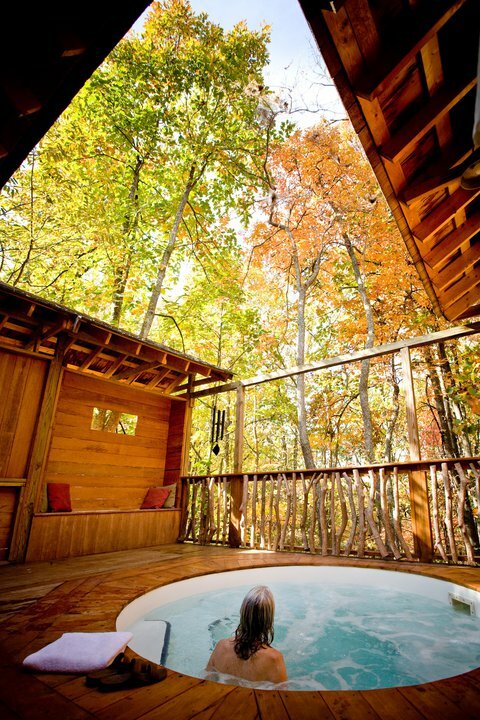 Or how about going for it and getting you and your loved ones a relaxing hot tub? Do you have a projector? 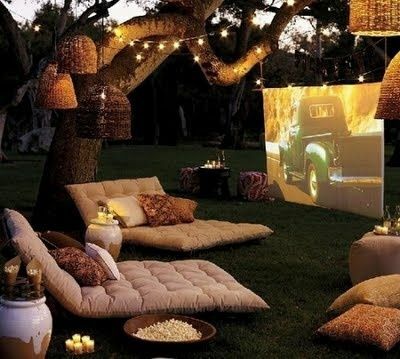 You could even stage a little drive-in movie. Who said Valentine’s Day was only for couples? 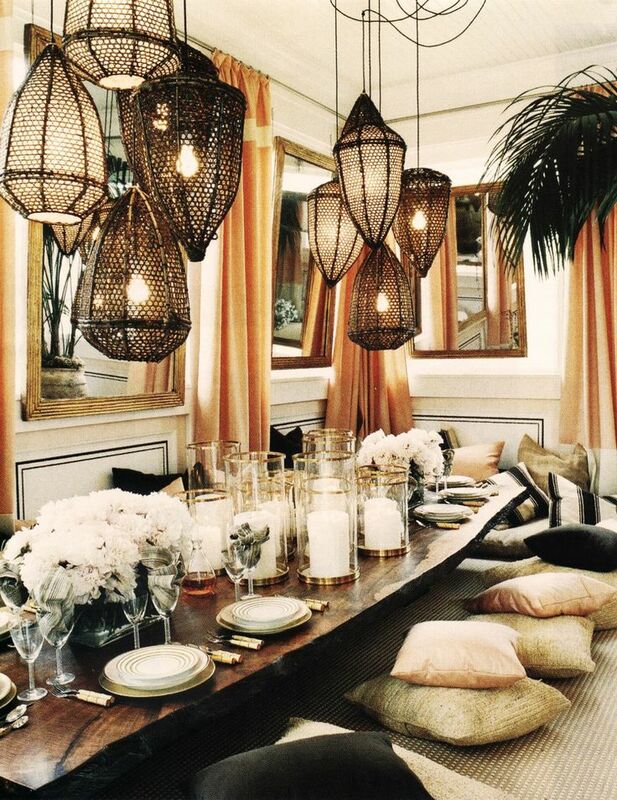 A whimsical dinner party can be a wonderful way to show your friends and family how much you care. When it comes to more populated dinners, we love the new trend of banquet tables with cushions for seating. 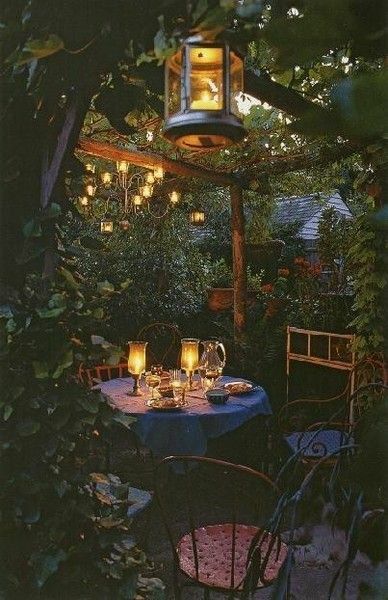 Or again, you could take things outdoors to possibly a picnic table with twinkle lights on the porch. Spark the fire of love with a fireplace. Not only do they help keep you warm but they are a cozy, cabin-like addition to any home. Put down a plush blanket and have a romantic Valentine’s Day picnic in front of the hearth. 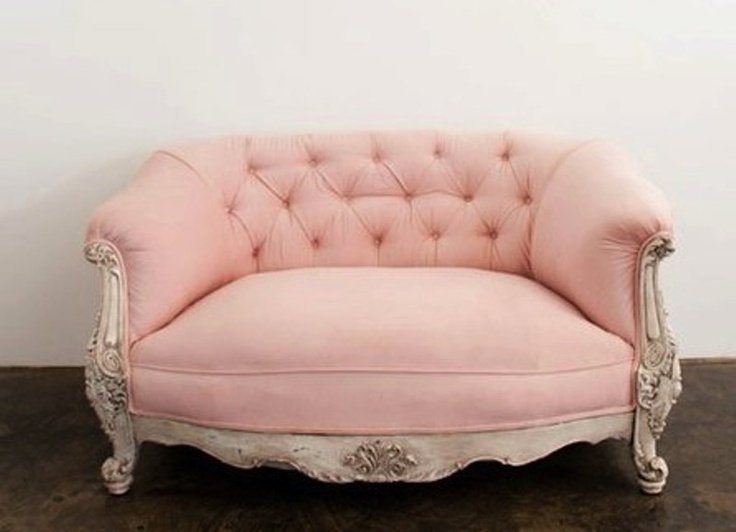 You can’t mention Valentine’s Day, without also mentioning the most appropriate chair for the holiday – the loveseat. For more Valentine’s Day home inspiration, check out our Pinterest board – V for Valentine! For help installing your Valentine’s Day solutions, remember Handyman Matters is here to help. Give us a call! We will help transform your home into its inner, romantic, mountain cabin. 866-FIX-MY-HOME. Is Your Home Colder than it Should Be? Do you sometimes leave your coat on after you get home? When you enter the living room, is there more than one blanket piled on your couch? As you go to bed, do you find yourself piling on layers? If you have answered yes to one or more of these questions – your home is probably leaking heat. Handyman Matters has created a list of heating problems and their solutions to help make your winter more comfortable. Replace the window, an expensive but permanent solution. Install storm windows. This addition is inexpensive and will snap onto the original window. Buy insulation tape to stick on like a film over the inside of your window to help seal small leaks. Install heavy curtains. They act as insulation and if kept closed can keep out most of the cold air. Furnace – Regularly check to make sure the filters in your furnace aren’t clogged with dust and debris. Replace the filters regularly. Furnaces also benefit from seasonal check-ups to ensure they are functioning correctly. Exterior Doors – Look at the main entrances and exits to your home. Are there gaps where the door should meet the floor, frame, or ceiling? Can you feel air flowing from around the door? This is a common problem – and it’s one of the easiest to fix. Door sweeps are an effective solution for exterior doors. These rubber additions fill the gap, and work like a flexible barrier around your doors. Insulation – If after inspecting your home for the above issues, it still feels drafty, it’s probably due to inadequate insulation. For more info on how to check your home’s insulation level – check out this post on the 3 most common energy leaks. Handyman Matters want’s you to have a worry-free winter! If your home seems colder than it should be – give us a call and we will find your solution. 866-FIX-MY-HOME. Small Business Trends recently interviewed the founders of Handyman Matters, to see where it all started. The Bell’s discuss their businesses niche, talk marketing, and share some of their experiences in the franchise industry. Thinking about starting a small business or franchise? Check out this article to get some invaluable advice! Home renovations often become small demolition projects, especially when it comes to living spaces and kitchens that have too many walls. Modern day homes are open spaces. Pretty typically, only the bedroom and bathroom occupy a separated space from the rest of the house. Layouts are now more determined by the layout of furniture than by actual wall dividers. So you have decided to join the buzz and tear down a wall. Before you do that, make sure you read this! Some walls in a house are absolutely essential – they are what helps keep that roof up! These are the horizontal supports that appear under a floor, in a ceiling or on top of the houses foundation. Unfinished basements provide the best visibility for spotting these joists. Go downstairs and just look up! Once you have them in your sights, take note of the direction that they are running. Are they north/south, east/west? Their direction will help signal where a load bearing wall probably is. Load bearing walls typically run perpendicular to floor joists. While you are in the basement, look around to see if you notice any beams. These are typically made of sturdier materials and run vertically from the foundation upwards. If the beam is coming out of the wall, that segment of wall is load bearing. The same goes for if you see a beam running across the ceiling on one of the levels of your home. The walls that that beam is connected to are more likely than not, essential to the integrity of your home. Does your house have more than one floor? If so take note of the walls and their locations on the first floor, then head upstairs. On the next level notice which walls have the same placement as the first. If there are more stories, keep going up and note the walls that continue all the way to the top – these are likely your load bearing walls. If you have the blueprints to your home: your life is easy. Open up your blueprints and look for the structure section often indicated by the letter “S”. The framing plan will help you have a more reliable look and your homes interior plan. Look for beams, and the direction of floor joists. If the wall you’d like to remove is not connected to a beam, or running perpendicular to the floor joists in its room: then it’s more than likely not a load bearing wall. Removing the wrong wall in your home can have disastrous results. Don’t accidentally demolish your home. When you are looking to remove a wall, contact a craftsmen to take a look first. Handyman Matters wants to be your local resource for any home improvement projects or questions. Give us a call today! 866-FIX-MY-HOME.